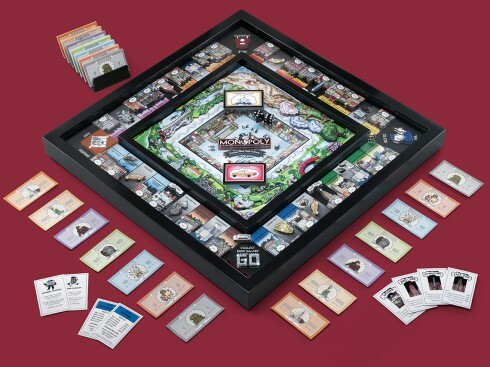 Charles Fazzino is proud to partner with premiere custom game maker, Winning Solutions, to create the world’s first three-dimensional collectors version MONOPOLY Game! 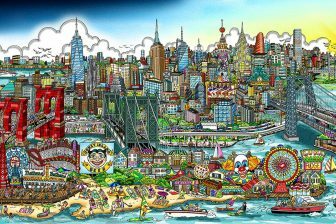 Marrying the world-renowned artistry of Charles Fazzino, and the popularity and gamesmanship of MONOPOLY, “3D MONOPOLY®: The Fazzino New York Edition” is a one-of-a-kind, hand-signed and numbered limited edition collector’s item. Only 2,000 of these games will be produced and are available for pre-ordering now. Games are scheduled to ship by mid-October. 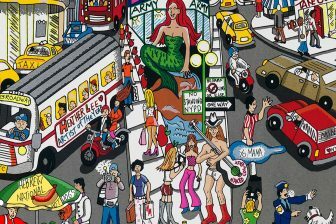 The 3D MONOPOLY® game board is oversized compared to the classic version and features custom, New York-themed, 3D artwork by Charles Fazzino. Masterfully detailed and vibrant 3D artwork on all of the property spaces transports the player on a magical journey through some of New York City’s most iconic streets, avenues, and landmarks. The center rolling area features more spectacular artwork of Rockefeller Center and Central Park, and is hand-signed and numbered by the artist. This artistic marvel is adorned with over 170 crystals and foil accents, and is encased in a beautiful 2” deep wood cabinet with tempered glass top and wooden frame. 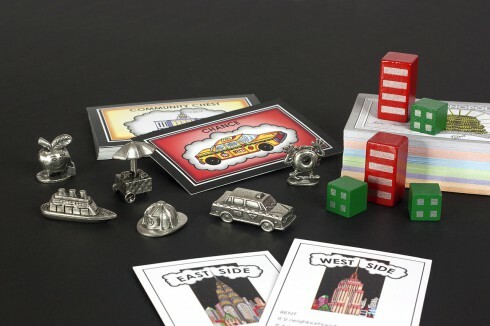 By all definitions, 3D MONOPOLY® by Charles Fazzino makes a wonderfully unique gift. Use it or display it on the wall. Either way, it’s a one-of-a-kind conversation item. 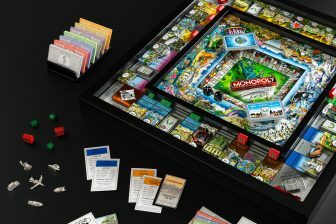 Take a look at the Monopoly set featured on Cool Hunting!